New fiscal year! New projects! Same mission! 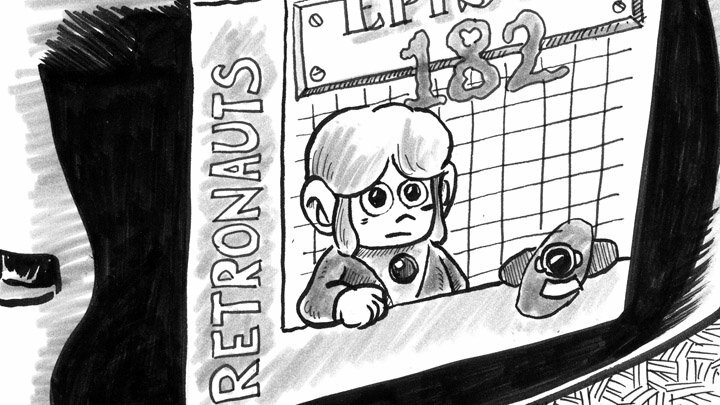 Each month, we here at Retronauts selectively pick crowdfunding campaigns that our readers might hold an interest in. These are not tacit endorsements nor are they paid promotional listings. Our staff has no monetary interest in any of these projects nor have we received any favors in exchange for writing this list. I've lived in Japan long enough to understand that every arcade, large or small, has to include at least one video game where players pilot giant robots and fight each other. They're as ubiquitous as photo booths and horse race simulators. So I approve any attempt to expand this genre with an "action RPG" that promises to let players customize their robots, and by customize I don't mean "blue legs" vs "red legs." Every robot is made of dozens of small parts that can be changed, colored, and decorated with a decal. 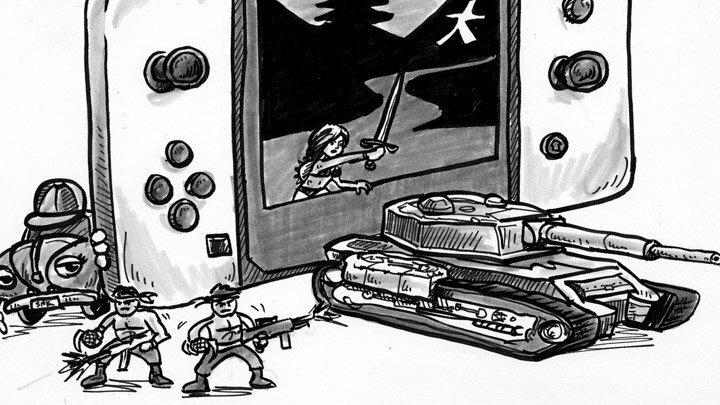 Of course, you get to choose from an assortment of weapons too. M.A.S.S. Builder is coming to PC first (it has already been fully funded and is in the stretch goal phase now) but the campaign pledges there will be a Nintendo Switch port "after the initial PC version has finished its development." Kromasphere is an unusual video game Kickstarter for two reasons: it's for a new game on an old system (physical cart only!) and the game is allegedly "100% finished and tested." The copyright on the title screen says 2017 so it must be true. Kromasphere is a platformer that begins in black & white and as new colors are unlocked through play, new platforms become available. The games comes in two flavors: a "standard" edition that ships in a cardboard box and uses passwords to track your progress, or a fancy edition that comes in a plastic shell and includes a battery back-up for saving your game (although passwords will also be an option). I have a lot of fond memories of the Commodore 64 but when I was a kid, it felt like I was the only person who had one. 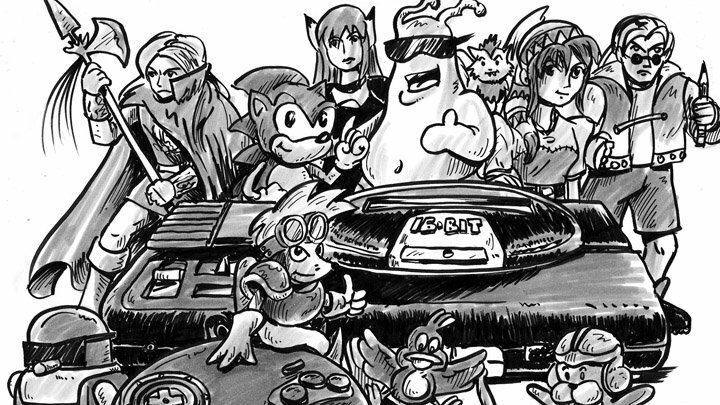 It's been fun to discover in my adulthood that I was not alone and that the platform was, in fact, home to a lot of great games. I cannot vouch for Cosmic Force being "great" or even "existing" (this is Kickstarter, after all) but if anyone dares ask the Internet for money to make a brand-new Commodore 64 game in 2019, I am sure as heck going to amplify that request to whatever audience I've got. Cosmic Force is a space shooter "in the classic arcade style of Galaxian, Galaga, Defender and Star Wars." The game will have three different modes of - grits teeth - "defence" which resemble those particular games. If the campaign video is any indication, the game is going to include some fabulously chunky music to accompany the action provided by composers who actually produced soundtracks for Commodore 64 games back in the 80s, just as the head of this project, Steven Fletcher, was a programmer for the Commodore and Amiga back in the day. And I would be remiss if I didn't point out the cutest idea of all: at the £35 tier you can get the game on a cassette-tape-shaped USB stick! While it's a fact that first-person-shooters have never truly gone away since Doom hit it big, there certainly aren't as many classic shooters that resemble the so-called "Doom-clones" of the 90s: games with lots of guns and lots of monsters with little directive beyond "kill them before they kill you." Prodeus aims to be one of those games and it promises to deliver buckets of blood in the process. As the campaign promises: "our splatter tech literally allows the player to paint the entire level red with the enemy's blood." Prodeus seems to be riding the fence between 90s-shooter and whatever-we-call-this-decade-shooter with a variety of graphical and HUD options. You can have lots of pixels and sprites on the screen with a giant HUD (with a little face at the bottom!) or you can go hi-res 1080p with minimal visual intrusion. Speaking of customization, Prodeus will also ship with a level editor and a distribution system for modders to share their work with others. Firmament will be the next game from Cyan Worlds, the studio that created Myst and its many sequels, along with the recent Obduction (which was itself crowdfunded). Cyan is looking for 1.3 million dollars to create a new game which "will be designed for VR, but built to play on PC as well." What kind of game is Firmament? It's an "enigmatic narrative adventure...that stays true to the storytelling, artistic integrity, and inventive puzzles that Cyan holds dear" which sounds like there'll be fancy environments to explore and puzzles to solve. 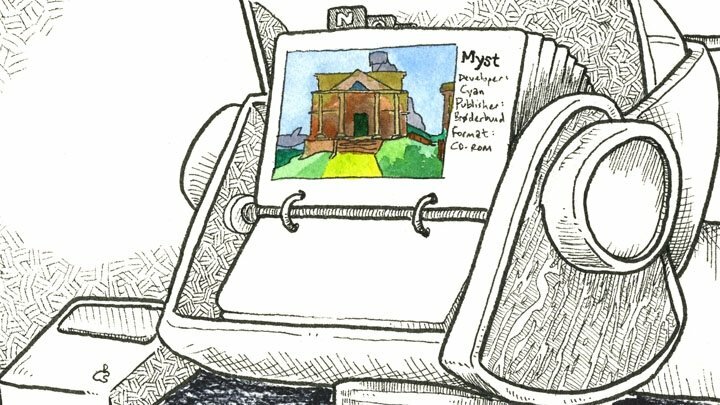 And as reluctant as I am to hype a hi-res VR Kickstarter on Retronauts dot com, if the makers of Myst want to make more Myst I am inclined to encourage them to do so. A.V.I.S.P.O. (hoo boy, two bulleted acronyms in one roundup) is a new entry in an old genre: the typing game. Players must type codes as fast as they can to defend their computer from viruses. There's a demo available right this instant if you want to see it in motion; the game takes place on a fake desktop and the viruses look like unleashed Chain Chomps. It gets hard in a hurry!. A.V.I.S.P.O. is being made high-school senior Eve Ortiz who, in the pitch video, says she's doing this "to push the limits of my game development skills" and she chose typing games because it's "a genre that isn't really explored much." As of this writing the project has already been funded so good luck Eve! I'm ready to forget MasterType ever existed! I like spending time with animals but I am wary of the recent "cat cafe" trend because I worry about how the animals live when they are expected to be on display for paying customers. Fortunately, I need have no such worries regarding Calico because it's a video game where all the creatures (not just cats!) are make-believe and happy to be collected and cared for by the player. Inspired by Harvest Moon and Animal Crossing, Calico is a "a day-in-the-life community sim" where you must rebuild a cafe and restock its supply of wildlife. "You don't see a lot of just unapologetically feminine games" says Kelsey Ehrlich, one-half of the team behind Calico, in regards to the game's aesthetics. It's undeniably cute in a way that few video games are. Furthermore, it's designed to be relaxing and will not have any negative consequences for players. Find some animals, befriend them, maybe ride them, and then bring them back to the cafe that you are decorating and running. Despite my aforementioned Commodore 64 love, I never owned or played a game on the Amiga so I certainly had no cause to buy or read the magazine known as Amiga Power. Evidently a non-zero number of people did, as they have banded together to create this officially-licensed tribute album full of remixes of music from Amiga computer games. I don't recognize a single name on the list of games or contributors but the music sounds great and I'm 100% in favor of people putting more electronic music based on video game soundtracks into the world. Please note that £18 is only enough for a digital version of the album; you'll need to back the project at the £27-tier if you want the CDs. Much like last month's Kickstarter to build an indie arcade in Brooklyn, Natán Buendía and Manuel Torres are looking to open the "Biggest Arcade in Latin America" so they're turning to crowdfunding. The two are experienced makers and repairers of arcade cabinets and they're looking to share these games with anyone willing to pony up 130 pesos (about $7 US) at their theoretical arcade space. There is no minimum donation to support this project, of course, but for the aforementioned 30,000 pesos you can get your very own arcade cabinet (offer only valid in Mexico).